What do you do when you get back home from vacation and discover there is absolutely no food in the house for breakfast the next morning? You work with what you’ve got and make muffins. 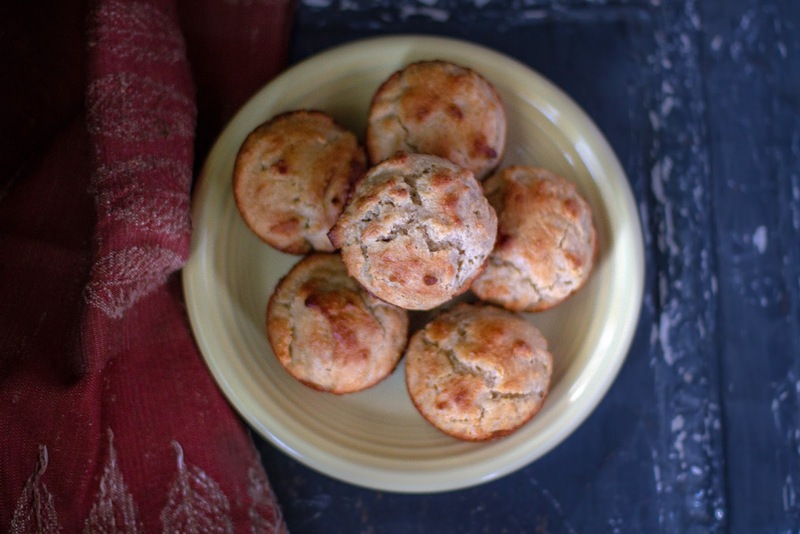 I have to say these grain-free, gluten-free muffins are among the best tasting baked goods I’ve made with almond flour. Alternative flours like almond and coconut can give things a very dense texture, but these had just the right amount of springiness. I think the key was using cold butter and cold eggs, and not over-handling the batter before getting it into the oven. If you don’t have a nut allergy, almond flour for baked goods is a delicious option whether you need to eat gluten-free or not. Plus, it’s packed with protein and dietary fiber. 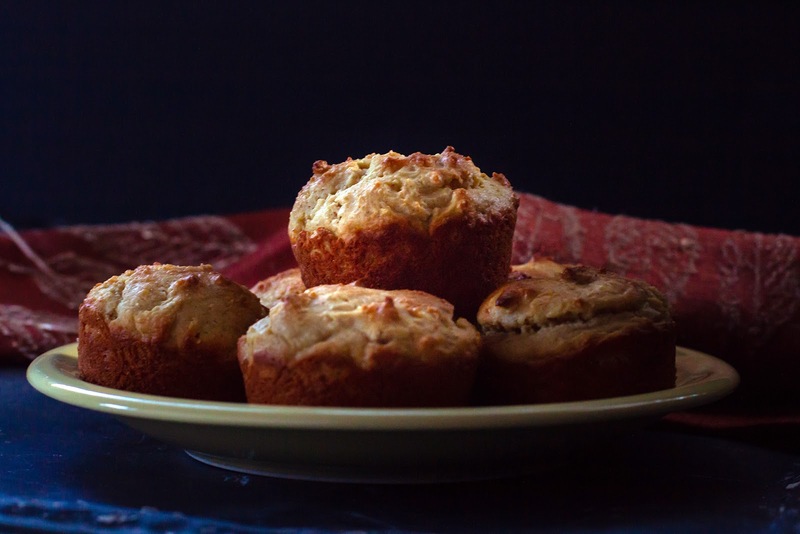 That means these muffins are filling and good for breakfast or as a mid-morning snack. A tablespoon of local honey gives them a little sweetness and a touch of cinnamon gives them a flavor boost. Instead of dirtying multiple bowls I did everything in the food processor, so it was a relatively minimal clean-up. You can easily whip up a batch or two of these muffins ahead of time and refrigerate or even freeze them. When you are ready to eat, I recommend splitting them in half, giving them a quick toast, and spreading on a little raspberry jam! In a food processor pulse almond flour, baking powder, cinnamon, and salt for a few seconds. Add the cold butter and pulse until crumbly. In a bowl, whisk the eggs. Add to the flour mixture along with the honey. Pulse in the food processor until the batter comes together. Grease a muffin tin. Spoon the batter evenly among 9 muffin cups. Bake immediately for 15 minutes until golden brown. Remove from oven and let cool 5-10 minutes. All Content © Alicia Ghio. Powered by Blogger. © Local Food Rocks. All rights reserved.